DCSCA hosted a meeting on Monday 19th November at SpringDale, at which Darryl Thomas, CEO of the Geelong Cemeteries Trust described the Trust's role. The Trust maintains the 13 local cemeteries in the Geelong region (with no government funding); individual graves are owned privately and their maintenance is the owner's responsibility. Local people at the meeting were concerned about the future of the Cemetery, in particularly the vacant land adjoining Clifton Springs Road. Daryl said that the Drysdale cemetery has enough land to accommodate current demand for 15 to 20 years. Daryl said that the vacant land is zoned as 'cemetery' and that the Trust has no plans to ask for the land to be rezoned and/or to sell it to housing developers. He added that before the Trust could sell the land, it would have to consult the local community extensively. The vacant land in question would accommodate about ten thousand graves - nowhere near enough to meet the area's expected population growth. 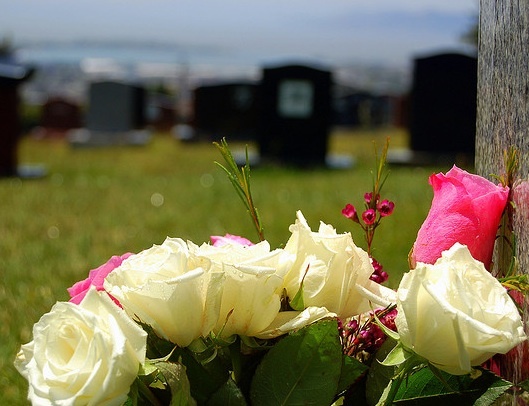 The Bellarine Peninsula in general is expected to see a major increase in population in the coming years and each of its local cemeteries (including Drysdale's) has only about 20–25 years worth of grave sites available. Consequently, the Trust is looking for land on the Bellarine for a new Bellarine Cemetery.